I wish I was a Glow Worm, a Glow Worm's never glum, 'cause how can you be grumpy, when the sun shines out your bum? Beautiful example of new beginnings Tigz. 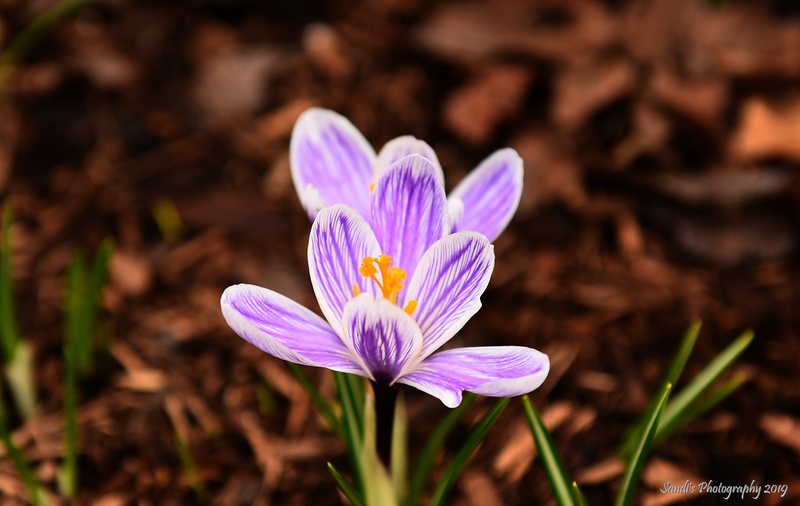 I love the bi-color crocus Sandi and I don't see them often. Sharp focus and nice color on this flower. It stands out beautifully against the dark background. A great looking crocus Tigs - loving the lines on the petals - Very Nice!!!!!!!!!!!!!!!!! Lovely color and markings and beautifully isolated...great work, SAS. Beautiful little bloom and fine shot. It's like this crocus is reaching for the sun, Sandi. Another very fine one my friend!